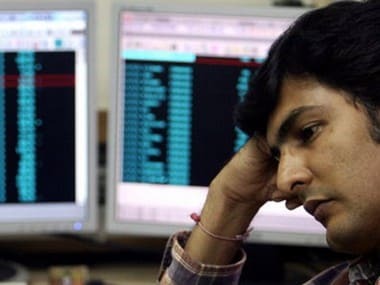 Mumbai: Rising for the fourth session in a row, the BSE benchmark Sensex on Tuesday added another 185 points to hit an all-time closing high of 39,056 and the NSE Nifty closed above the key 11,700-level on intense buying mainly in auto, IT and banking stocks amid hopes of RBI rate cut. Tata Motors drove the Sensex rally for the second session in a row, surging over 8 percent. Other top gainers were Bharti Airtel, TCS, Bajaj Finance, PowerGrid, IndusInd Bank and State Bank of India -- rising as much as 5 percent. People walk past a bronze replica of a bull at the Bombay Stock Exchange (BSE) building in Mumbai 3 November, 2008. Reuters image. 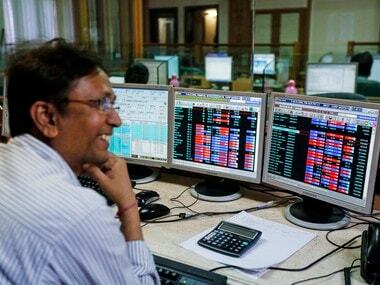 The 30-share Sensex started on a positive note at 38,988.57 and swung between a high of 39,121.69 and a low of 38,846.96. During the course, it also set its new intra-day record by touching 39,121.69. The gauge finally settled the day at 39,056.65, 184.78 points or 0.48 percent higher. Similarly, the NSE Nifty opened higher at 11,711.55 and rose to a record intra-day high of 11,729.35. It, however, closed at 11,713.20, up 44.05 points or 0.38 percent. Sectorally, realty, telecom, auto and IT emerged as prominent gainers. On the other hand, indices of oil and gas, FMCG and basic materials were in the red. 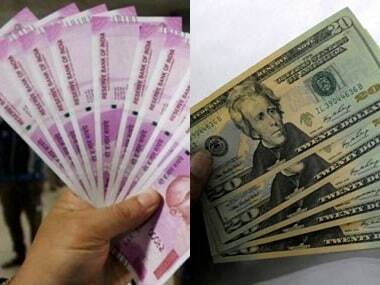 The RBI's rate-setting panel Tuesday started its 3-day deliberations for the first bi-monthly monetary policy of 2019-20 amid expectations of a cut in key lending rate by another 25 basis points to boost economic activities. Investors are keenly awaiting the outcome of the RBI's first bi-monthly monetary policy review meeting. 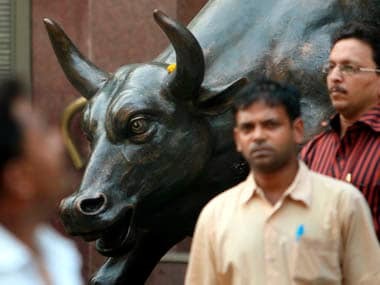 Experts believe that hopes of interest rate cut by the Reserve Bank have also aided the recent rally in domestic equities. Besides, domestic markets have a spillover effect of robust global sentiment as investors were encouraged by signs of strengthening economic indicators that showed manufacturing activities in China and the United States improving. Asian bourses followed Wall Street gains on Tuesday amid strong indications of improving global macro-economic picture.